Creator: Fisher, David H. Jr.
Topeka, Kansas, resident David H. Fisher, Jr. relates his experience during the June 8, 1966, tornado in Topeka. Three interviews with former Emporia Gazette editor Everett Ray Call conducted by Emporia State University professor Loren E. Pennington. The first interview addresses Call's boyhood days in Sedan, Kansas, his early days as a newspaper photographer, and his commentary on William Allen White. The second interview continues Call's comments on William Allen White and follows with his commentary and analysis of the Emporia Gazette under William Lindsay White as editor and publisher. The third interview covers events of his own career with the Gazette, including famous murder cases, local, state, and national politics, and the newspaper's relations with Emporia State University and its presidents and with the Emporia Chamber of Commerce. An audio recording of an interview with John Carlin discussing his experience as governor of Kansas from January 8, 1979 to January 12, 1987, and his 1990 re-election bid. Bob Beatty and Mark Peterson, Political Science Department, Washburn University, conduct the interview as part of the Kansas Governors Recorded History and Documentary Project, Dr. Bob Beatty and Washburn University, 2005. The interview took place in Manhattan, Kansas, in 2008. A complete transcript of the interview is available by clicking Text Version below. This and a previous interview conducted in 2004 are the basis for Beatty's article "'Be Willing to Take Some Risks to Make Things Happen': A Conversation with Former Governor John Carlin." Kansas History, v31 n2 (Summer 2007/2008). The 2004 interview is available on Kansas Memory as item #212931. Click the thumbnail images below for different segments of an audio recording of an interview with former Kansas Governor Mike Hayden, who discusses his early life, military service in Vietnam, years in the Kansas Legislature, and experience as governor of Kansas from January 12, 1987 - January 14, 1991. Bob Beatty and Mark Peterson, Political Science Department, Washburn University, conducted the interview in Topeka on September 29, 2008; a complete transcript of the interview is available by clicking Text Version below. It and a previous interview conducted at Cedar Crest in 2004 are the basis for Beatty's article "'Being close to the People': A Conversation with Former Governor Mike Hayden," Kansas History, v32 n1 (Spring 2009). The 2004 interview is available on Kansas Memory as item 215739. Ellis Christensen enlisted in the United States Army in 1917 and served in Company L. Interviewed by Steven Hanschu on November 9, 1977, Christensen talked about military experiences in World War I. Christensen also served in World War II and the Korean War. The 2005 Kansas Legislature passed a bill funding the WWII Veterans Oral History grant program. 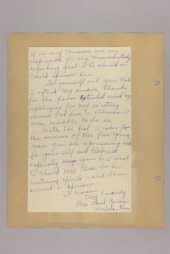 This transcript is from one of the community institutions receiving grants who also used the grant funds to digitize and transcribe previously recorded interviews from World War I. The transcript of the interview is presented here; the original audio copy of the interview is available through the Emporia State University (Flint Hills) and through the Kansas State Historical Society. Creator: Cox, Jr., J. T.
Sergeant Cox, Jr. was drafted into the Army (Infantry) in 1943 and served until 1945 in the 82nd Airborne Division, 17th Airborne Division, 13th Airborne Division. Interviewed by Joyce Suellentrop on Jun 21, 2006, Cox, Jr. talked about military experiences in the Second World War. The 2005 Kansas Legislature passed a bill funding the WWII Veterans Oral History grant program. This transcript is from one of the nine community institutions that received these grants. The transcript from the interview is presented here; the original audio copy of the interview is available through the Gray County Veterans Memorial & Archives and through the Kansas State Historical Society. Crocker entered the Navy in 1943 and served until 1946. Interviewed by Robert Ecklund on Dec 1, 2005, Crocker talked about military experiences in the Second World War. The 2005 Kansas Legislature passed a bill funding the WWII Veterans Oral History grant program. This transcript is from one of the nine community institutions that received these grants. The transcript from the interview is presented here; the original audio copy of the interview is available through the Emporia State University (Flint Hills) and through the Kansas State Historical Society. First Lieutenant Crockett enlisted in the Army (Infantry) in 1937 and served until 1945 in the Company B, 137th Army Infantry, Air Transport Command. Interviewed by Loren Pennington on Apr 30, 2006, Crockett talked about military experiences in the Second World War. The 2005 Kansas Legislature passed a bill funding the WWII Veterans Oral History grant program. This transcript is from one of the nine community institutions that received these grants. The transcript from the interview is presented here; the original audio copy of the interview is available through the Emporia State University (Flint Hills) and through the Kansas State Historical Society. Staff Sergeant Davis entered the Army in 1941 and served until 1945 in the 115th General Hospital Unit. Interviewed by Joyce Suellentrop on Feb 21, 2007, Davis talked about military experiences in the Second World War. The 2005 Kansas Legislature passed a bill funding the WWII Veterans Oral History grant program. This transcript is from one of the nine community institutions that received these grants. The transcript from the interview is presented here; the original audio copy of the interview is available through the Gray County Veterans Memorial & Archives and through the Kansas State Historical Society. Captain Ecklund enlisted in the Army (Air Force) in 1941 and served until 1950 in the 5th Photo Reconnaisssance Squadron, 12th Air Force. Interviewed by Loren Pennington on Oct 18, 2005, Ecklund talked about military experiences in the Second World War. The 2005 Kansas Legislature passed a bill funding the WWII Veterans Oral History grant program. This transcript is from one of the nine community institutions that received these grants. The transcript from the interview is presented here; the original audio copy of the interview is available through the Emporia State University (Flint Hills) and through the Kansas State Historical Society. Flowers was drafted into the Navy and served until 1946 in the U.S.S. Coleman. Interviewed by Joyce Suellentrop on Mar 6, 2006, Flowers talked about military experiences in the Second World War. The 2005 Kansas Legislature passed a bill funding the WWII Veterans Oral History grant program. This transcript is from one of the nine community institutions that received these grants. The transcript from the interview is presented here; the original audio copy of the interview is available through the Gray County Veterans Memorial & Archives and through the Kansas State Historical Society. Private George was drafted into the Army (Infantry) in 1945 and served until 1946 in the Quartermaster Corps. Interviewed by Joyce Suellentrop on Oct 17, 2005, George talked about military experiences in the Second World War. The 2005 Kansas Legislature passed a bill funding the WWII Veterans Oral History grant program. This transcript is from one of the nine community institutions that received these grants. The transcript from the interview is presented here; the original audio copy of the interview is available through the Gray County Veterans Memorial & Archives and through the Kansas State Historical Society. Petty Officer Third Class Gerber enlisted in the Navy in 1942 and served until 1946 in the U.S.S. Mount Vernon. Interviewed by John McLoughlin on Jul 13, 2006, Gerber talked about military experiences in the Second World War. The 2005 Kansas Legislature passed a bill funding the WWII Veterans Oral History grant program. This transcript is from one of the nine community institutions that received these grants. The transcript from the interview is presented here; the original audio copy of the interview is available through the Gray County Veterans Memorial & Archives and through the Kansas State Historical Society. Gomez enlisted in the Navy in 1944 and served until 1946 in the U.S.S. Sproston DD577, Destroyer Squadrons 49 and 55. Interviewed by Loren Pennington on Apr 25, 2006, Gomez talked about military experiences in the Second World War. The 2005 Kansas Legislature passed a bill funding the WWII Veterans Oral History grant program. This transcript is from one of the nine community institutions that received these grants. The transcript from the interview is presented here; the original audio copy of the interview is available through the Emporia State University (Flint Hills) and through the Kansas State Historical Society. Elbl was inducted into the United States Army in 1943 and served until 1946 in the Medical Corp. Interviewed by Marian Poe on Dec 9, 2006, Elbl talked about military experiences in the Second World War. The 2005 Kansas Legislature passed a bill funding the WWII Veterans Oral History grant program. This transcript is from one of the community institutions receiving grants. The transcript of the interview is presented here; the original audio copy of the interview is available through the Rice County Historical Society (Lyons) and through the Kansas State Historical Society. Private First Class [PFC] Goodwin was drafted into the Army (Artillery) in 1943 and served until 1946 in the 548th Anti-Aircraft Automatic Weapons Batt., 102nd Infantry Div., 9th Army. Interviewed by Loren Pennington on May 19, 2006, Goodwin talked about military experiences in the Second World War. The 2005 Kansas Legislature passed a bill funding the WWII Veterans Oral History grant program. This transcript is from one of the nine community institutions that received these grants. The transcript from the interview is presented here; the original audio copy of the interview is available through the Emporia State University (Flint Hills) and through the Kansas State Historical Society.